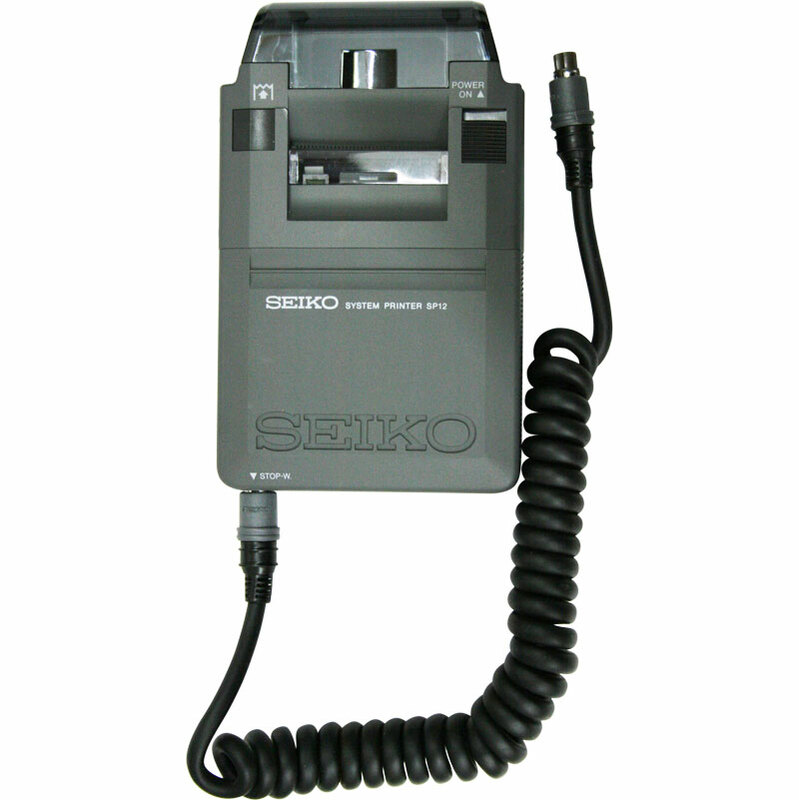 Seiko SP 12 External Printer (compatible with the Seiko S123, S143 and S149 Stopwatches). Prints 13 digits per line. Printing speed of 1.5 lines per second. Printout selection of split only or with lap times. Optional paper holder S23549J to install larger amount of paper S951. Automatic printout of year, month, date and time.